APP-3 is a product based on ammonium polyphosphate. The crystal modification is phase II. It is manufactured from APP-1 by micro-encapsulation with melamine. 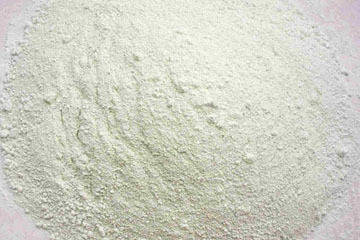 APP-3 is a fine-particle white powder with very low solubility in water, even at elevated temperatures. It is completely insoluble in organic solvents. The product is non-hygroscopic and non-flammable. Packaging: APP-3 is packed in 25 kg 4-ply paper bags with polyethylene inliner. The standard supply unit is a shrink-wrapped pallet with 40 bags weighing 1000 kg net.